Fiddlers ReStrung playing at the Saline Celtic Festival on Saturday July 11, 2009. Saline had an awful storm and downpour that cancelled the parade. But by 11, it was nice (though a bit warm). The performance was fantastic - though it was Jake's last gig with ReStrung - and the turnout was great. 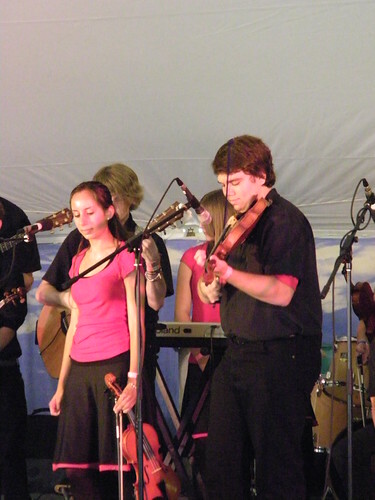 These photos are that of the performance, the Celtic Festival, and the rainstorm in the morning.